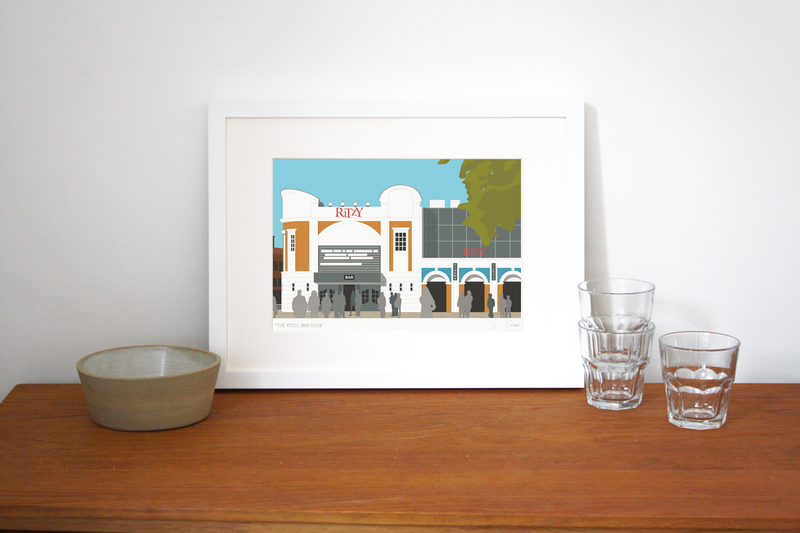 Share your love of The Ritzy Cinema in Brixton with this limited edition art print by Place in Print. Today's Ritzy Cinema in Brixton lies on the site of the 'Electric Pavilion' cinema in 1911. In 1954, the cinema was renovated and renamed as the 'Pullman'. After the cinema closed in 1976, it would be reopened and supported by Lambeth Council until it was bought by Picturehouse Cinemas. 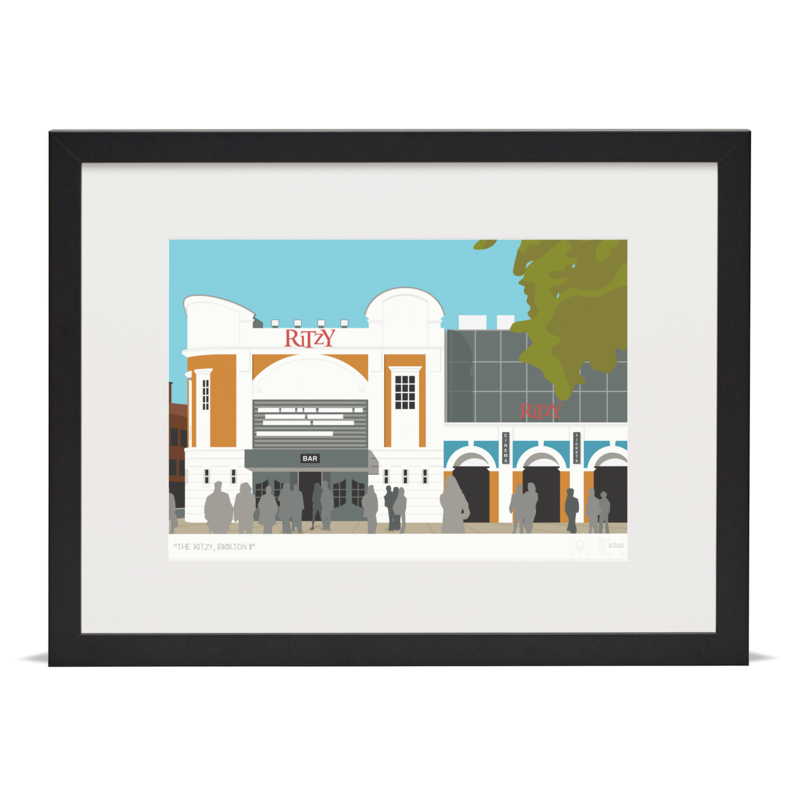 This limited edition print's simple colour palette make for a bold and simple image; a timeless memento for any cinema, Ritzy or Brixton lover.